Propulsion: One 3,500ihp steam engine, one shaft. 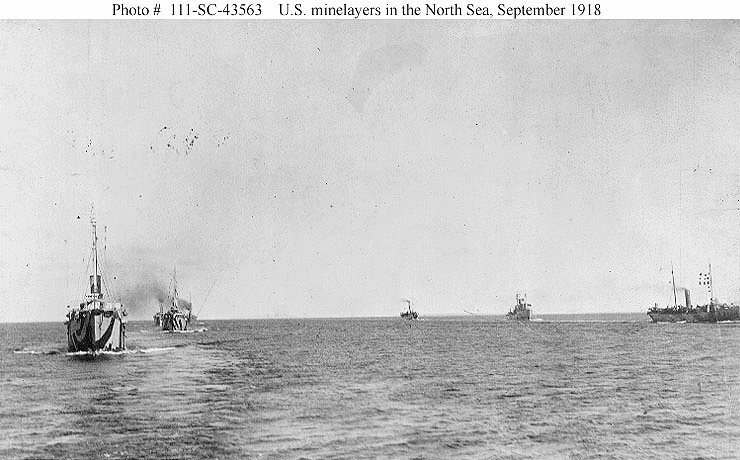 71k U.S. Navy minelayers proceeding to sea in two columns, in Area Number 2 of the North Sea, September 1918. 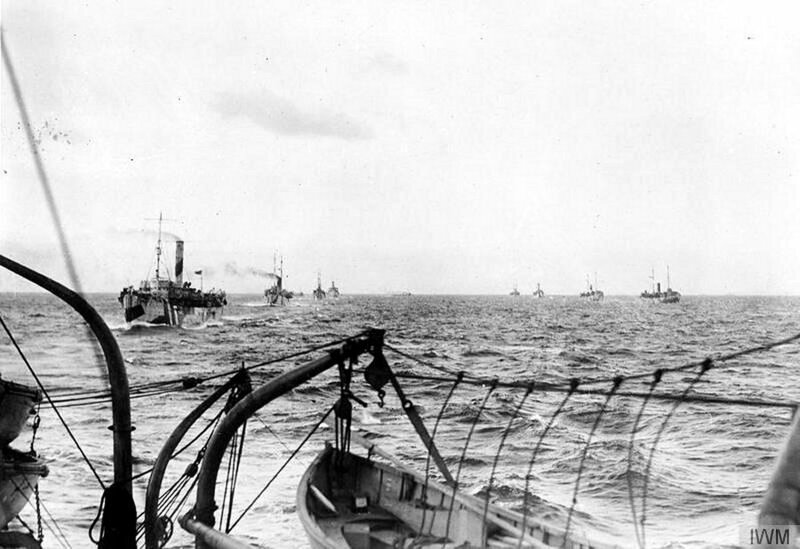 Ships in the column at left are (from front to rear): Roanoke, Housatonic, Quinnebaug and Baltimore. 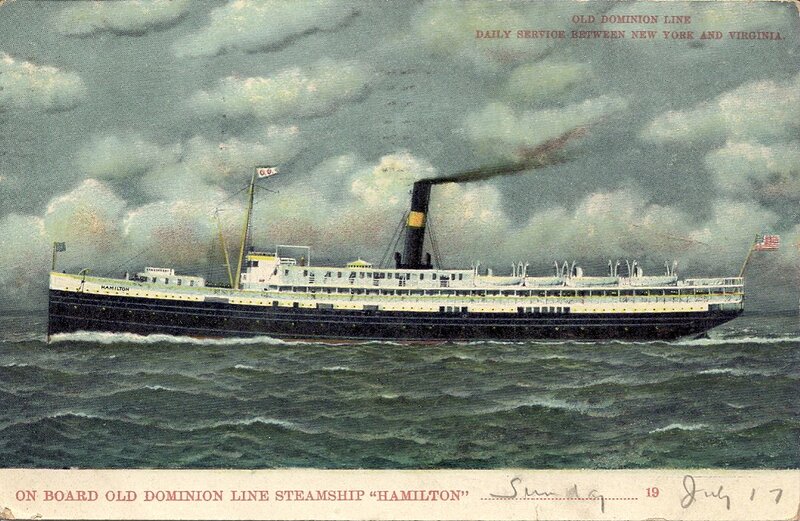 Ships in column at right are (from front to rear): Canonicus (out of picture, to right), Canandaigua, Aroostook and Saranac. Note disruptive "dazzle" camouflage worn by these ships. 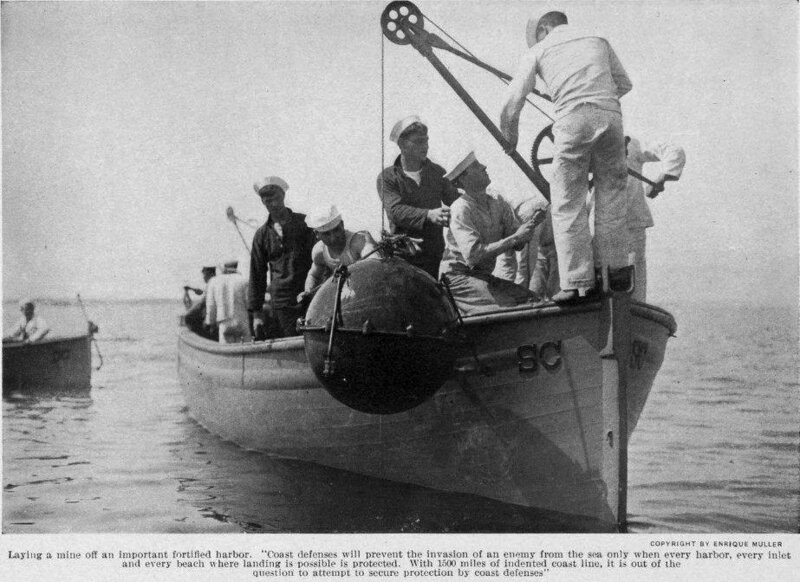 Dictionary of American Naval Fighting Ships History: The third Saranac (ID. No. 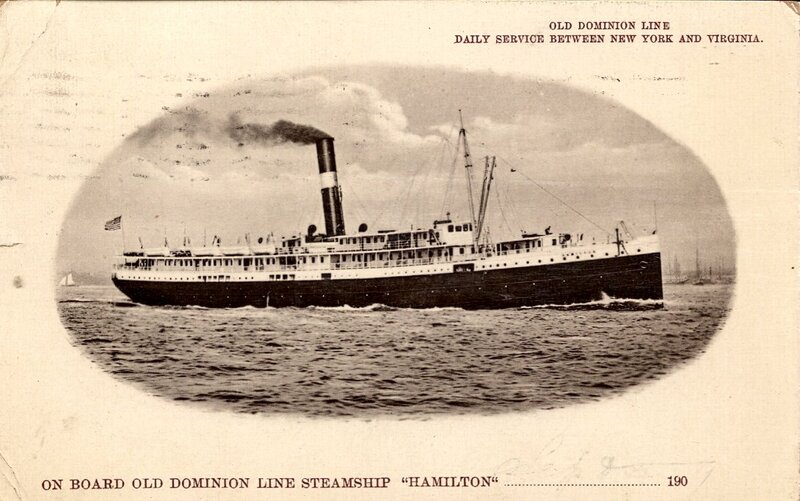 1702) was launched in 1899 as a coastwise steamer by the Delaware River Ship Building Co., Chester, Pa., and rebuilt in 1909 by the Newport News Shipbuilding Co., Newport News, Va. On 6 December 1917, she was acquired by the Navy under charter from the Old Dominion Line for which she had plied between New York and Norfolk as SS Hamilton. 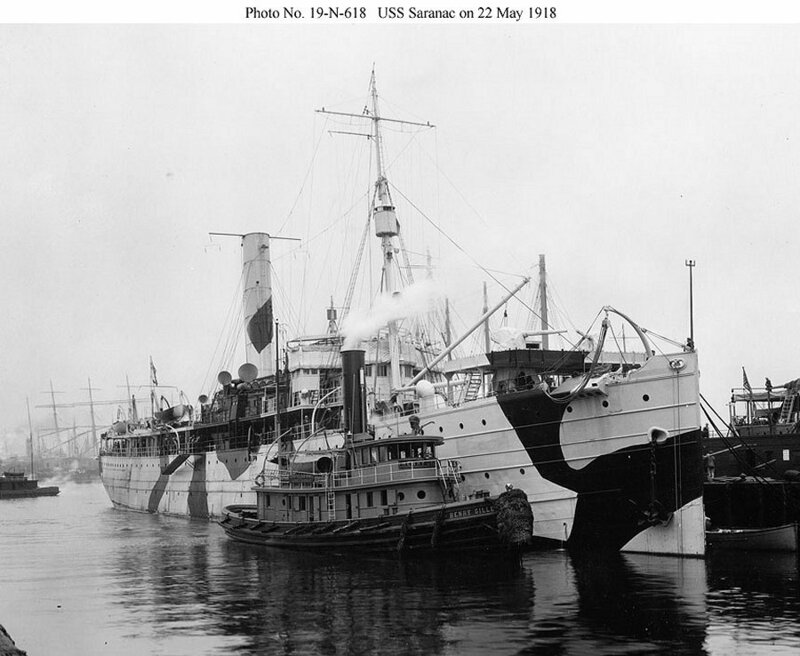 Renamed Saranac on acquisition, she was converted to a mineplanter at James Shewan and Sons' Repair Yard, South Brooklyn, N.Y., and commissioned on 9 April 1918, Comdr. 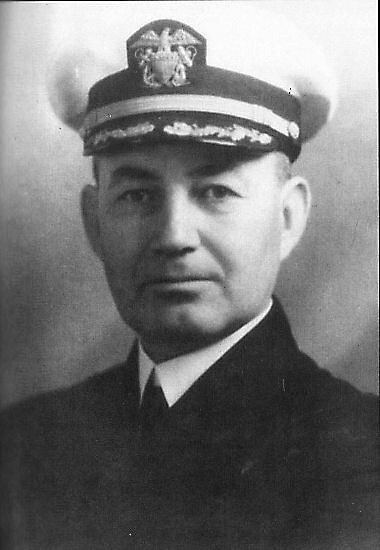 Sinclair Gannon in command.